We all want to maximise our efforts during the day and reduce our time wasting activities. Increasing productivity not only helps improve our work output but it also helps reduce frustrations by finding our productivity deficits. Productivity tools work best when they can help us eliminate manual duplication through task automation. In a heavily dependent digital environment, we also need productivity tools to reliably record data and provide immediate access to multiple platforms such as our computers and mobile devices, as well as allowing access to third parties. 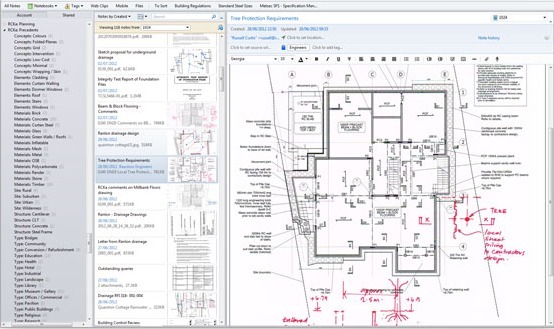 Productivity tools deliver the additional benefit of improving the quality of work by eliminating redundant manual work. Productivity tools provide analytics which helps us assess the effectiveness so that we can do more of what works and make any changes to what doesn’t work. Increasing productivity will have a flow on effect to the financial outcomes in your therapy practice primarily through eliminating unnecessary expenses. In this blog post, we’ve defined productivity tasks into 4 main categories and provided a list of 10 useful tools to help improve productivity within each category. Idea generation focuses on the strategies you implement in your therapy practice that will determine what services and products that you sell in your practice. To generate ideas you need to record your initial ideas and then organise them into a structure that will facilitate execution of your ideas. Idea execution occurs once you’ve generated your ideas. You will need to use software or offline tools to help establish the foundation of your ideas and perform the necessary tasks over time. Hopefully, this will include a significant amount of automation so that you are taking a more passive approach to implementing the tasks required to operate your art therapy practice. Once you’ve established your strategy and implemented your ideas, you will want to measure how effective they are for your business. Using software and offline tools will help measure the effectiveness of your ideas. The process of measuring your ideas should be as automated as possible so that you can focus your time on assessing the value of the data to help you make necessary business decisions. For example, this is as simple as being able to general automated expense reports so that you aren’t wasting time sorting through unorganised paperwork to assess your expenses. The idea generation, execution and measurement categories take care of the functional tasks, however staying motivated is an important psychological component of productivity. Motivation in a personal sense can be in the form of a business coach, mentor, supervisor or financial advisor. If you prefer to use technology there are a number of software products or apps that will help provide mood boosting activities or help facilitate habit forming activities. Below is a summary of the tools discussed in this blog post. 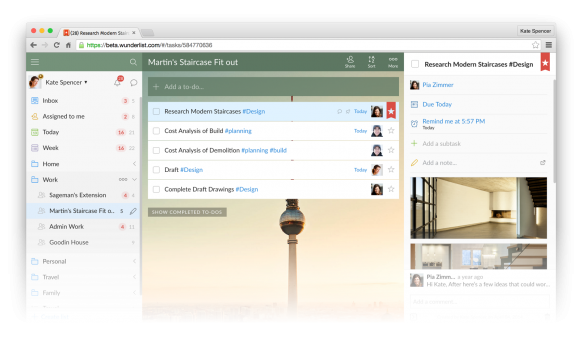 ￼Trello organises your projects and tasks into boards using cards. 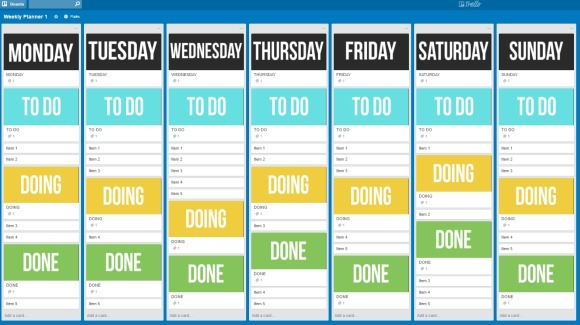 The best offline comparison to how Trello works is to imagine using sticky notes on a pin board. It is great for users who like to view their projects visually. Following on from the pinboard/sticky note comparison, you can easily move your Trello cards around on your project board so that you can keep your workflow and progress organised. You can use these inspiring boards (https://trello.com/inspiringboards) as a template for your next project or use them as inspiration to incorporate some of the ideas into your own trello set up. 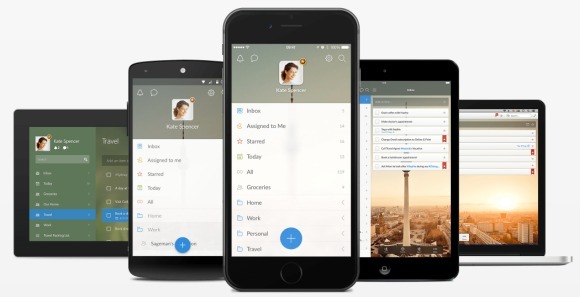 You can save articles, videos and most media into Pocket. You can save from your web browser, your email and from over 1500+ apps. For example, I use Feedly as my blog reader and I can save any interesting blog posts from Feedly into Pocket. You can also use other apps like IFTTT to automatically save new website content to your Pocket. 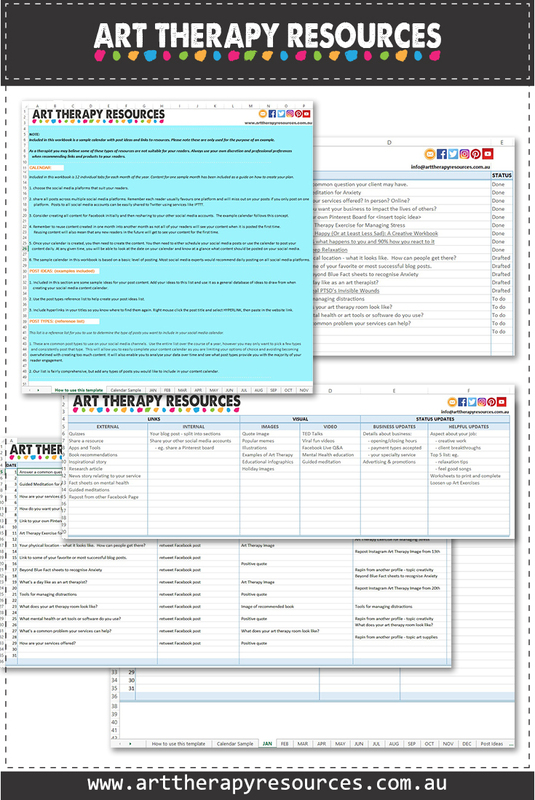 This is useful if you want to automate the way you stay up to date on Art Therapy research. There are a number of public IFTTT recipes to help you share, send or save items with Pocket. Once you’ve saved your media into Pocket you can then access it across multiple devices including your phone, tablet or computer. The items are available offline and online. 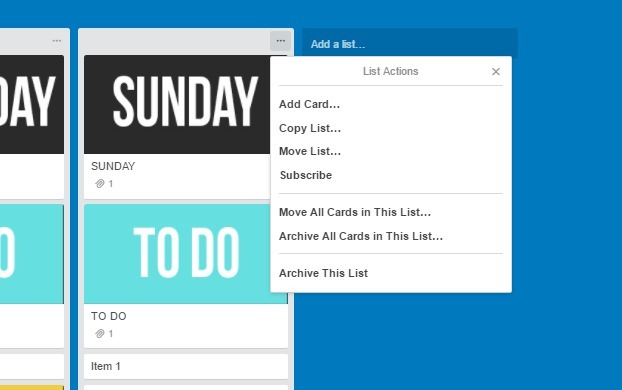 In the Pocket app you can create categories to help organise your saved content. From a productivity point of view, apps like Pocket can have a downside in that you may find yourself freely saving content to Pocket to read later, however, you never get around to reading those articles later. Before you know it, your Pocket saved items becomes too overwhelming to look through. When saving an article or piece of media, ask yourself is it the entire article that you wish to save or only a section. 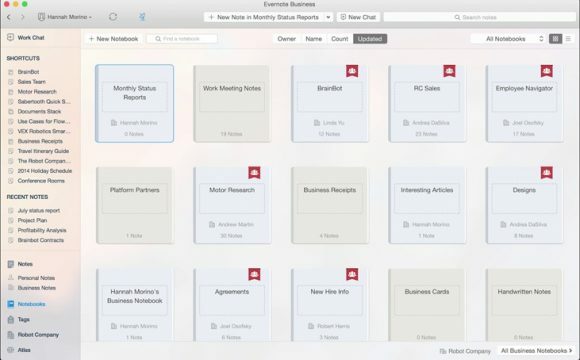 If it’s the entire article, the save to Pocket, however, if you only want to save a section of content, consider using another program such as Evernote to record bite-sized pieces of information. When deciding to save articles or items form the Internet, I make a judgment on how interested I am in the article. If I’m just intrigued by an article I skim the content at the time I find the item. Sometimes just a skim read is enough to satisfy my curiosity on the topic. If I want to explore the topic in detail, I save the item to my Pocket to read later. Once a week I review all my Pocket content and read, delete or permanently save any content. The best news is Pocket is FREE! 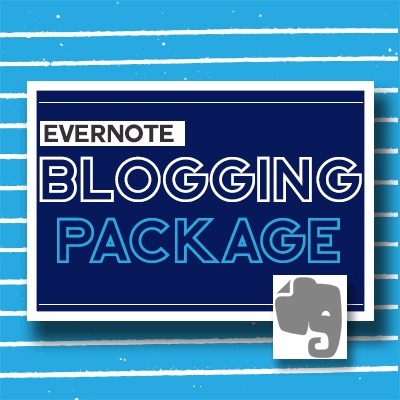 Evernote is used as a writing tool, however, it has extra features that enable it to be used in a planning capacity for your art therapy business. 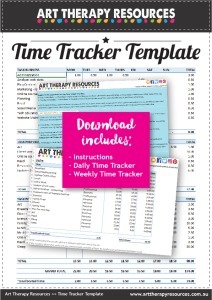 You may notice in some of our blog posts, we offer free Evernote downloads for worksheets and templates. These templates can be freely accessed by clicking the links in each post. 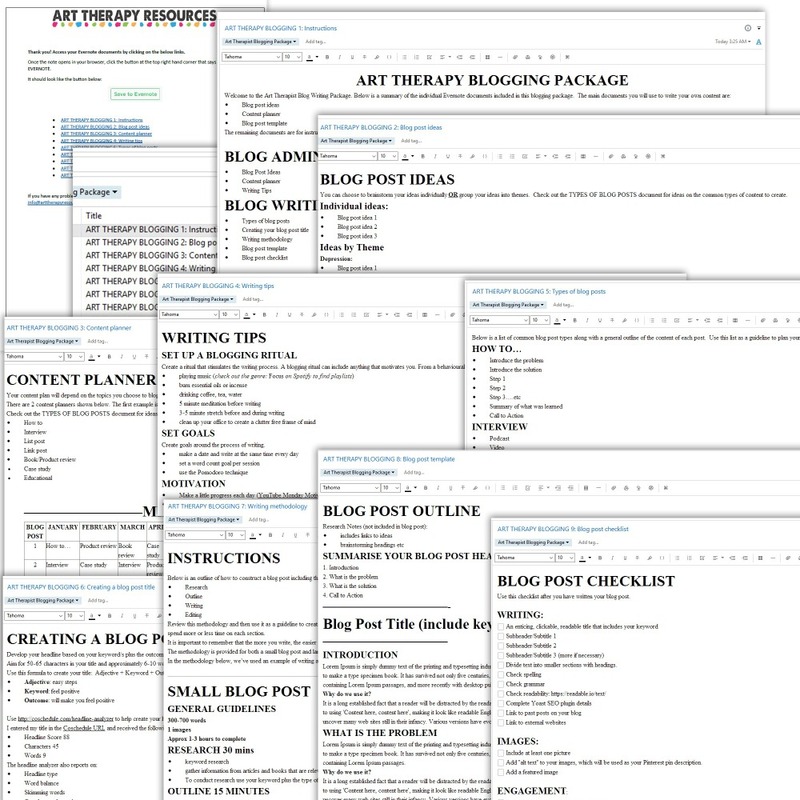 ￼Using the resources in this package makes the process of blogging so much easier. It will save hours of wasted time trying to construct the perfect blog layout. 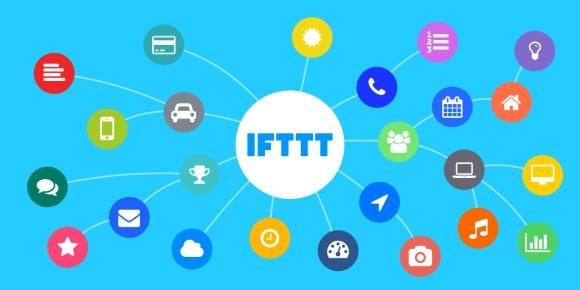 We’ve discussed IFTTT in a previous blog post about social media scheduling. 1. Limit your daily usage of Facebook to one hour per day. Check 30 mins in the morning and 30 mins at night. Knowing you have this time limit will help you focus on important tasks like updating your Facebook business page and responding to any comments. Out of each 30 min block, you might want to allocate 10 mins to catch up with the news feed of your personal contacts. Out of each 30 min block, you might want to allocate 10 mins to catch up with the news feed of your personal contacts. 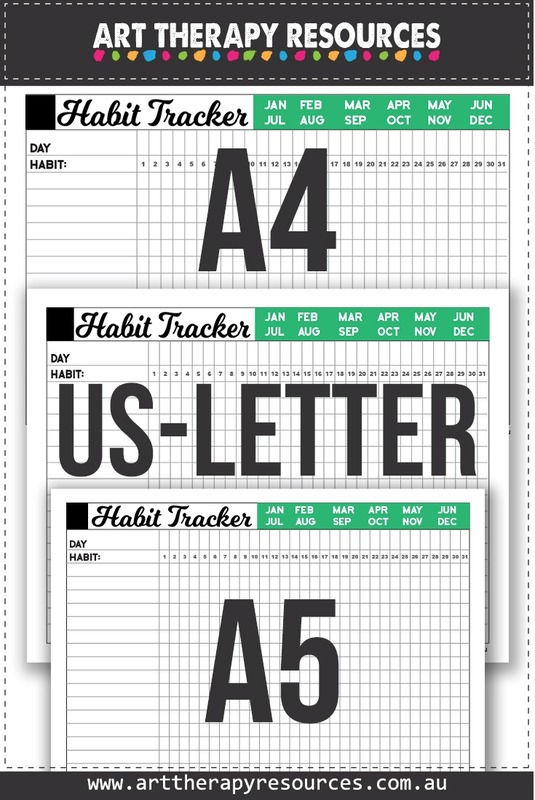 If you like the idea of using an offline tool to record and measure your productivity, then you might be interested in a planner. 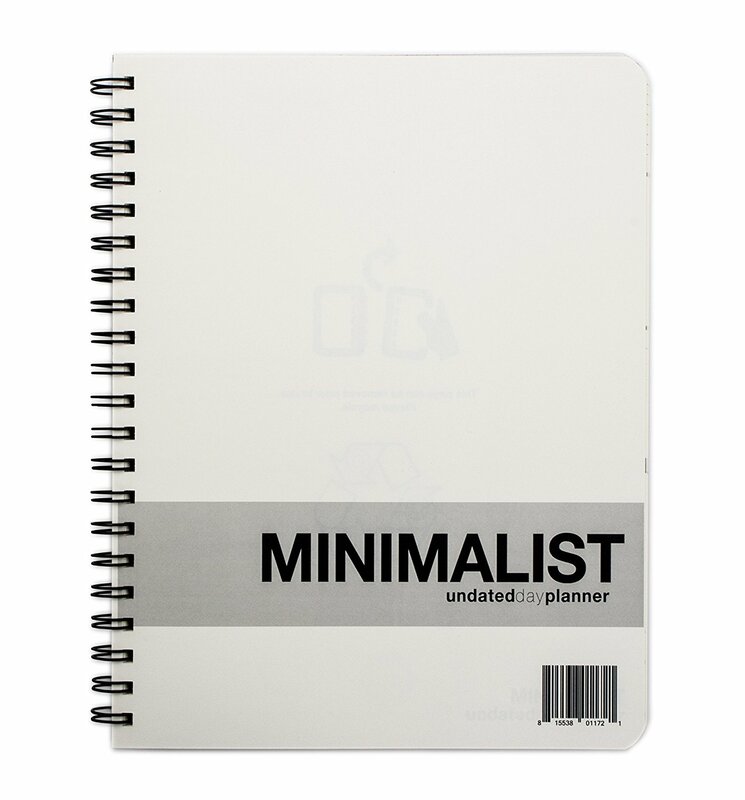 Most planners come pre-designed to follow a specific daily, weekly or monthly format for planning. 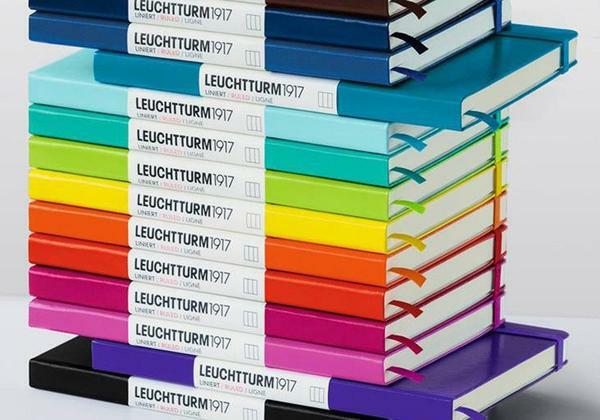 A popular alternative is the Leuchtturm1917 which comes in a variety of styles (lined, dotted, blank etc). 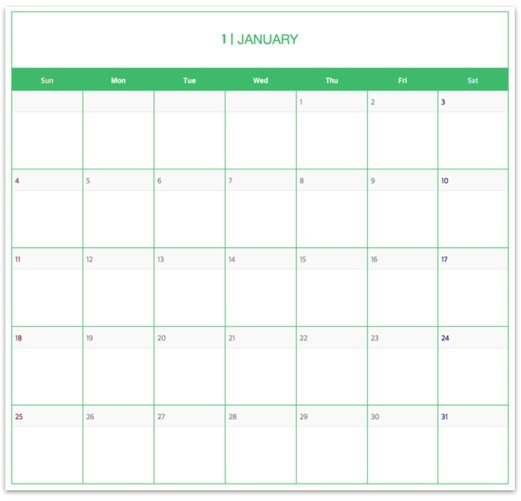 Each page is blank which means you can create your planner format whatever way you would like, whether it be based on a daily format or weekly or monthly format of recording. These journals are popular for both planning and bullet journaling. Bullet journaling is a specific method of planning. You can read more about bullet journaling here or if you want to be more creative you can read more here. 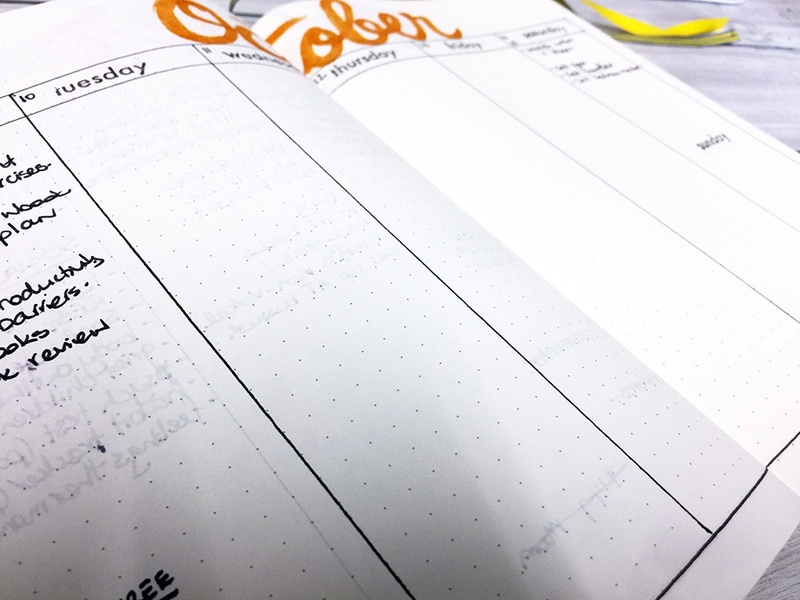 Bullet Journaling and planning can be as elaborate or minimal as you like. 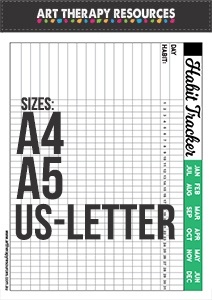 You can also use a pre-designed planner if you prefer a structured planner to help plan your measure your activities. There are many excellent apps and programs that will help you get motivated in preparing to do your activities as well as apps that will help you stay motivated while you’re executing your activities. If you haven’t heard of the Pomodoro Technique before, it is a method of time management developing in the late 1980’s by Francesco Cirillo. The technique suggests working in limited periods followed by a short break. This process of a work period followed by a break is called 1 Pomodoro. Ideally, you will repeat this Pomodoro pattern approximately 4 times and then take a longer break of approximately 30 mins. Originally the method was based on work periods of 25 mins with a break period of 3-5 mins, however, you could adjust your work and break periods based on your own preferences. There are many Pomodoro based apps available to use either on your desktop computer or mobile device. 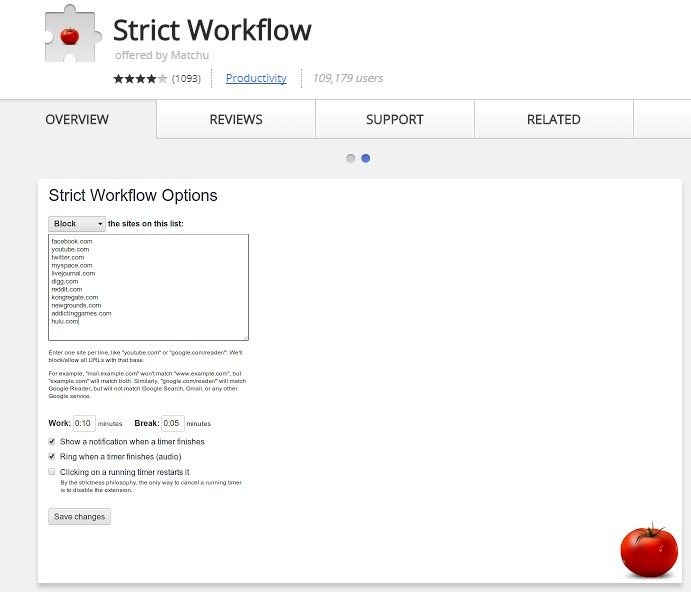 A suggested Chrome extension is Strict Workflow. This extension allows you to block websites as well as set your own work time and break time intervals. As suggested in the Pomodoro technique, taking breaks is an important part of staying productive. Your idea of a break should not involve looking at other work tasks or checking email or social media. Ideally, your breaks will involve some kind of mental relaxation techniques or physical movement if you have been sitting for a long time. One suggestion is to use a quick meditation session to facilitate deep breathing and mental downtime. Most meditation apps have session times ranging from 5 to 30 mins.